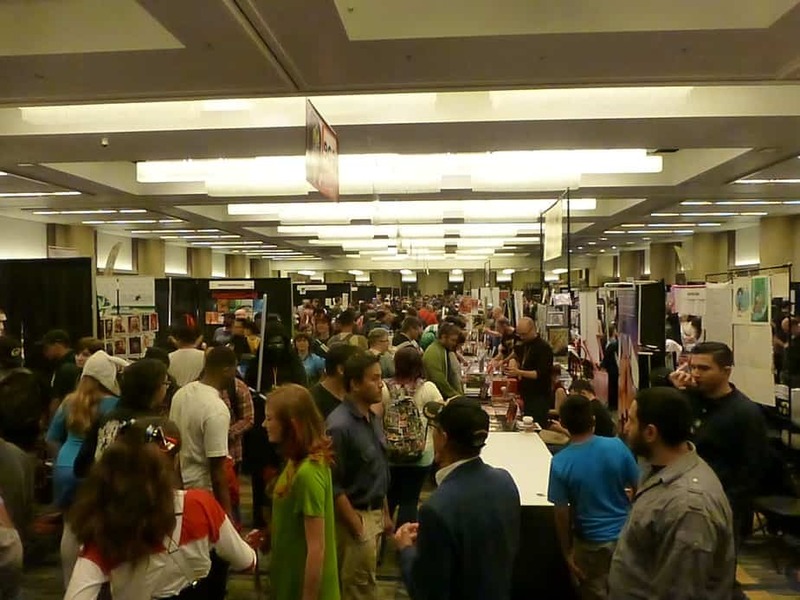 This was the inaugural year for San Francisco Comic Con, and it showed. The first convention staff member I encountered upon entering Saturday morning gleefully informed us that San Francisco ‘had not had a comic con in 5 years’. Certainly WonderCon, the last major comic convention in San Francisco, was last held here in 2011. Yet the Alternative Press Expo (APE) was held in San Francisco until 2014, so this statement wasn’t entirely true. Still, the underlying sentiment was valid: there is a strong market in San Francisco for a comic con, and this market has been underserved. As such, locals were very excited to attend the very first San Francisco Comic Con. Event representatives told me that they were aiming to sell 9,000 advance tickets per day of the convention. Given that tickets were still available at the door, I would assume that daily attendance was below this figure, although the crowds on Saturday afternoon would suggest that it was not by much. The San Francisco Marriott Marquis was full to the brim at many points during the afternoon. 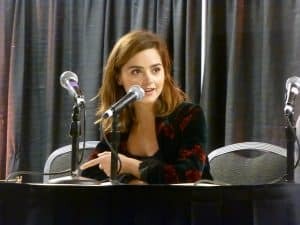 Every attendee with whom I spoke was excited to be present, from young kids attending their first comic con, to millennials happy to have a con ‘in our own backyard’, to tech professionals who wanted to de-stress and recapture the fun of being a nerd. Even the media was excited, with reporters taking personal pictures on their mobile phones in between covering the event. Everyone had high expectations. Those expectations were placed on Imaginarium, a company who ‘runs comic book conventions and provides premier-quality advertising and art production’. Imaginarium is responsible for the Tampa Bay Comic Con and Indiana Comic Con, so San Francisco Comic Con (SF Comic Con) is their third event. As such, one might assume that Imaginarium knows that they are doing, and would be able to put on a good show. Attendees arriving at the convention had to bring their ticket barcode printouts and line up in a room. The line then moved through a bag check, then back out into the hallway, where people were then directed about twenty feet away to the will call windows to pick up badges or wristbands. However there was nothing to prevent people from just walking down the hallway and up to will call, bypassing the line entirely. Additionally, the bag check was useless as a security measure, as people could walk in off of the street and directly into any of the convention venues. Staff members were everywhere checking for badges or wristbands, to prove that admission fees had been paid, but there were no security measures for bags, other than (possibly) at will-call. This shows disorganization for will call, as well as a significant lapse in security. There were no printed maps or event schedules. Instead, attendees were told to download the SF Comic Con app, which had this information. In the tech-savvy Bay Area, this might not have been a problem, except that the vast majority of the convention areas had no wifi or cellular access. This meant that the app could not be downloaded, and those who had the app could not launch it without internet access. This left most people unable to determine which events were taking place, and attendees were often lost. Being a planner myself, I had downloaded the app in advance, before I arrived, however this was not without some difficulty. Nowhere on the SF Comic Con website was there a link to the app, and it was not searchable in the Apple App Store (it is possible it was on Google Play, but since I do not have an Android device I am not certain). I had to Google the app to find it (and it was the third or fourth hit on the search, not at the top). It seems like a simple thing to provide links to download an app on the main website for the event. There was no organization to the gaming area. Each gaming event had its own room, and its own rules for how to participate. 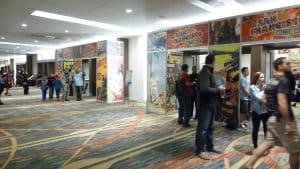 Some rooms had no advance signups (just line up at the time the event begins), while others required advance signups that same day. It was not clear what the procedure was unless you visited each room individually. Most disappointing was the VR demo room, where all of the Saturday demo slots had been filled on Friday, which made it impossible for me as a Saturday attendee to have a chance to try out the games. It would have been very helpful if information regarding signing up/participation in each event had been made available on the website and the app. Perhaps it was just my bad luck, but it seemed as if a lot of participants canceled last minute. Krysten Ritter had medical complications and was quickly replaced by Manu Bennett (kudos go to Imaginarium for finding a quality replacement guest on such short notice). However I attended a Stand-Up Nerdity panel on Saturday which was supposed to begin at 1:00 pm. 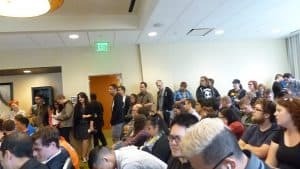 The room was overflowing with people, and attendees were sitting on the floor for lack of space (there was no staff overseeing the room capacity or setting up a line outside the door). By 1:10 pm, when nothing had happened, people were getting antsy. A staff member finally announced that the comics who were supposed to perform simply couldn’t be found, and spent the next 10 minutes finding random comedians from other panels to perform in their place. The much-shortened show ended up being entertaining, yet the mad scramble for replacements was far from impressive. Even more disappointing was that the same thing happened again at 4:30 pm, at the Random Encounter D&D Comedy show: the panel participants simply hadn’t shown up, and replacements had to be quickly found. The replacements ended up being the same comedians who had filled in at the 1:00 pm panel, and their material was the same, resulting in a lackluster program for those of us who had also attended the earlier event. Imaginarium needs to confirm with their panel participants in advance, so that they are not left scrambling at the last minute to respond to ‘no-shows’. Walkways were congested, and large areas had no visible lines of traffic flow. For example, the 501st Legion, the Rebel Legion and the Mandalorian Mercs had a terrific photo op set up outside their room, allowing attendees to have their pictures taken with cosplayers in high quality Star Wars costumes, Unfortunately, this photo op was in the middle of a narrow hallway, and every time anyone wanted to take a picture, traffic was stopped in both directions. This effectively snarled attendee progress around half of the floor. Photo ops need to be placed in an area where attendees can easily travel around if they do not wish to participate. The lobby areas of the Marriott seemed spacious when fewer attendees were there in the early morning, but in the afternoon these areas were wall-to-wall people, with everyone wanting to move in a different direction. A couple of staff members and ropes to direct traffic flow would have been very helpful. Worst of all was the lineup area for the main Golden Gate B room. This was where the celebrity panels and the cosplay contest took place. The room was emptied after each panel. Unfortunately, the exit was also the entrance, which dumped everyone out into the middle of the line to enter the room for the following panel. There was no defined pathway for attendees exiting panels to follow, which led to an extremely slow exodus and tempers flaring as those waiting for the following panel thought that exiting attendees were attempting to cut their line. The setup in Golden Gate B, the main panel room, was not conducive to a good panel experience. The celebrities and host sat at a table which was placed behind a large podium. Unfortunately, the podium blocked the view of the entire left side of the room. The podium should have been removed, or perhaps the table placed in front. Additionally, the lighting in the room was poor, and made for many shadows on the guests’ faces. Lighting needs to come from in front of the guests, not behind. The host in Golden Gate B was uncomfortable with the job. She wasted limited panel time giving instructions which could have been done in the minute or two before the guest arrived. She was unable to ask any questions of the guests, and instead only interfered with question flow from the audience. She was also unaware of the room’s facilities. For example, Manu Bennett wanted to get up and walk around the audience while speaking, but was limited because the mic at the table was corded. However a wireless mic was placed at the podium. At no time did the host offer this mic to Manu, nor did she attempt to see if the wireless mic even worked. This shows a lack of preparation on her part. 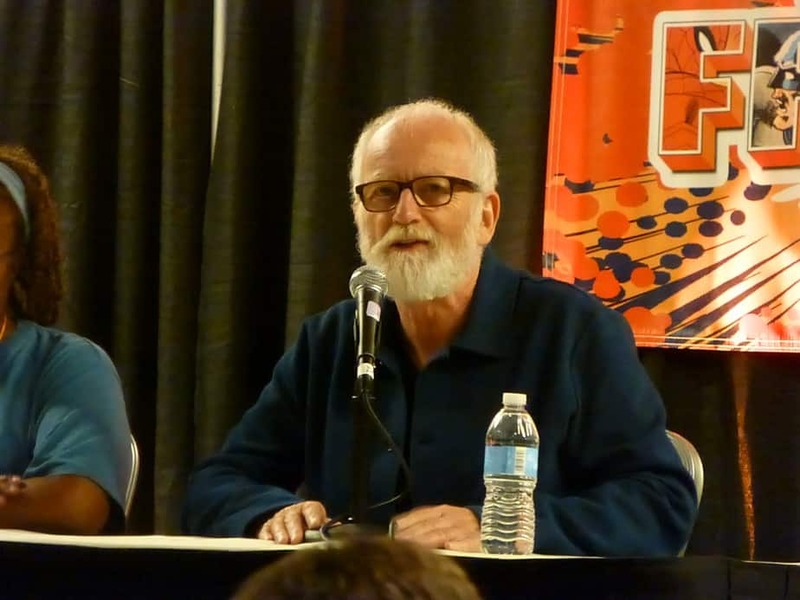 SF Comic Con intends to return in 2017. This event has some important things going for it, including an eager attendee base. The administrative problems I encountered during my experience at this convention are things that can easily be fixed with a little bit of effort. Management of this convention needs to address traffic flow issues, provide a printed program guide and map, confirm with panelists a few days before the con that they are still attending, co-ordinate better with the gaming areas, and train their hosts for the main celebrity panels. None of this is out of reach for the people at Imaginarium. However without such improvements, I would recommend that San Francisco Bay Area residents look to Silicon Valley Comic Con (to be held April 21-23, 2017) first, before returning to San Francisco Comic Con.